CloudPeeps empowers freelancers and businesses to do to their best work. Create freedom to work the way you want, wherever you are. Find your perfect match for ongoing roles or one-time projects. We empower you to grow your freelance business, while being apart of a global freelancing community. Our community gets the job done for clients across the globe. Want to become a Peep? Sign up here. 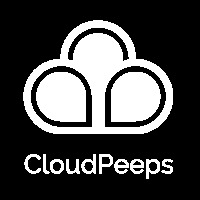 CloudPeeps lovingly supports Freelance Friday and is a fully remote team.